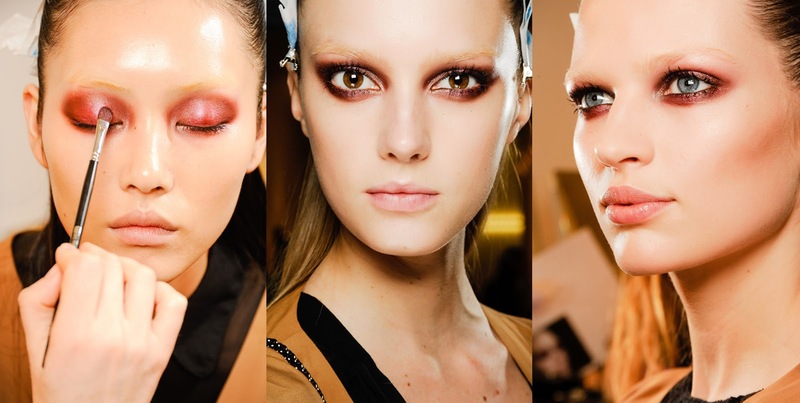 This season the makeup that caught my eye was from the Jason Wu and Gucci shows. It was all about the eyes! I love the copper and blue-purple shades it's a fresh of breath air because a lot of the makeup that I saw from the other shows the focus was on the lips with a red or berry lipstick, which I love but it was nice to see a departure from that. I'm obsessed with this looks, I will definitely try to re-create them. I will let you know if I succeed, we shall see! What were your favorite makeup looks this season? In your daily makeup do you focus more on the eyes or lips? I used to be a lipstick girl but slowly my love for eyeshadow is growing I blame MAC and Urban Decay and their gorgeous palettes! Let me know in the comments.